So did you fall for yesterdays April Fool’s? Can’t believe the number of hits the blog had yesterday- over 1000 in a day. Anyway we’re now into the second week of “Beauty Fortnight”, and I thought I would share with you my new favourite “facial” scrub. I use the term “facial” scrub loosely as I also use this on my hands/arms as a quick fix to get rid of fake tan stains. 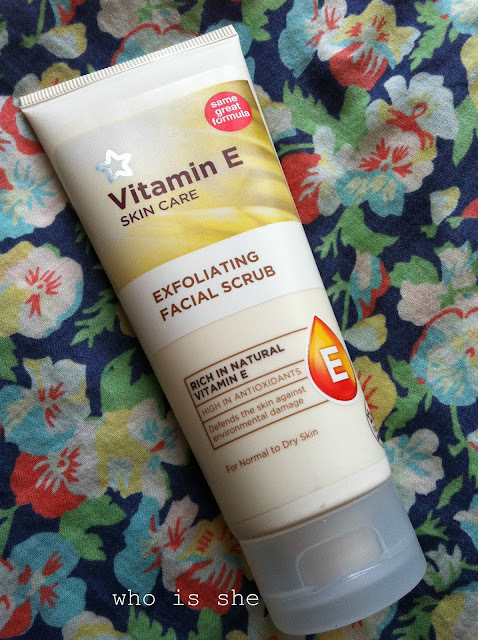 This is my second product to try from Superdrug (read my review on their Hot Cloth Cleanser here), as I initially needed some face cream and as the range was on 3 for 2, I got me and Rosie some night cream and I picked this up on a whim. 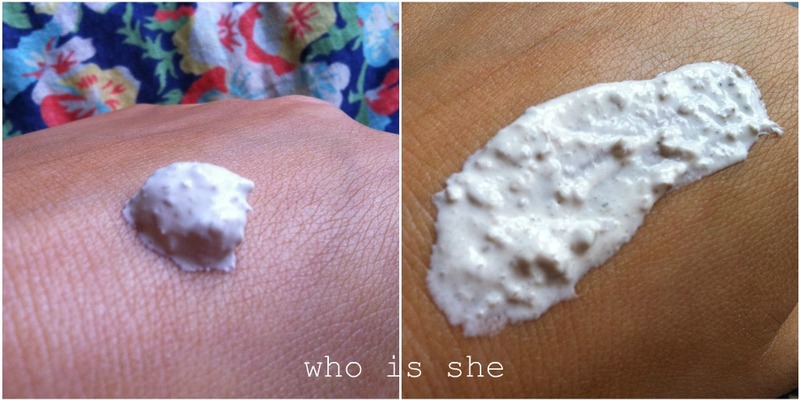 For me (even though I’ve been told its bad for the skin) the test of a good exfoliator is how gritty the product is. Seriously check out the chunks of grit in that!! Honestly I can’t rave enough about this product, its gritty but doesn’t take 5 layers of skin off with it. The product is very thick and works into your skin really easily. Also like the rest of the products in this range it smells of holidays/Hawaiian tropic (aka coconuts). A little goes a very long way so it is worth the £2.99 pricetag. Would I repurchase?? Definitely. Its currently on offer any two products for £3.99 across the Vitamin E range. interesting! i need a good exfoliator to get fake tan off so may give this a go as i love the other stuff in the range!